By toe_head2001, August 29, 2015 in Plugins - Publishing ONLY! 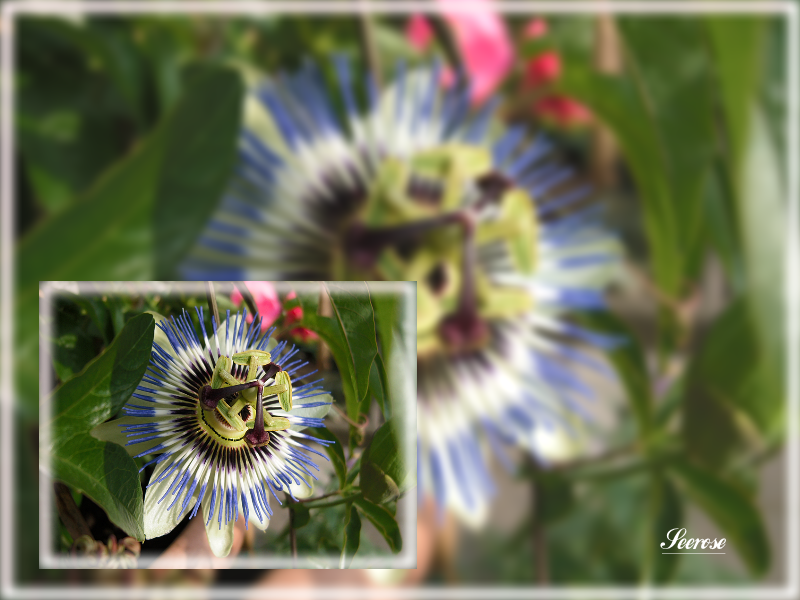 Fill the transparent area of the canvas with a scaled (fixed ratio) copy of the trimmed image. 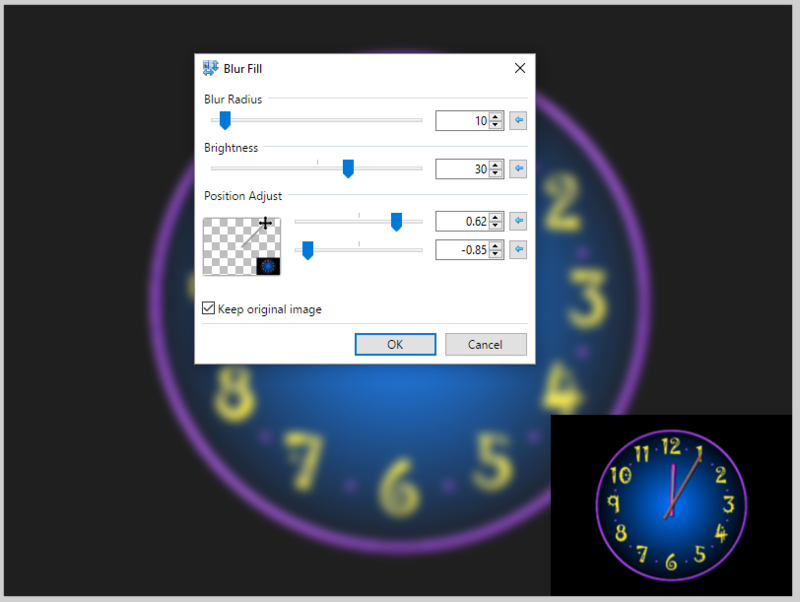 Regarding the 'Position Adjust' sliders: The background is scaled at a fixed ratio to fill the canvas, thus only one dimension will be clipped and that dimension's slider is the only one that will have an affect. 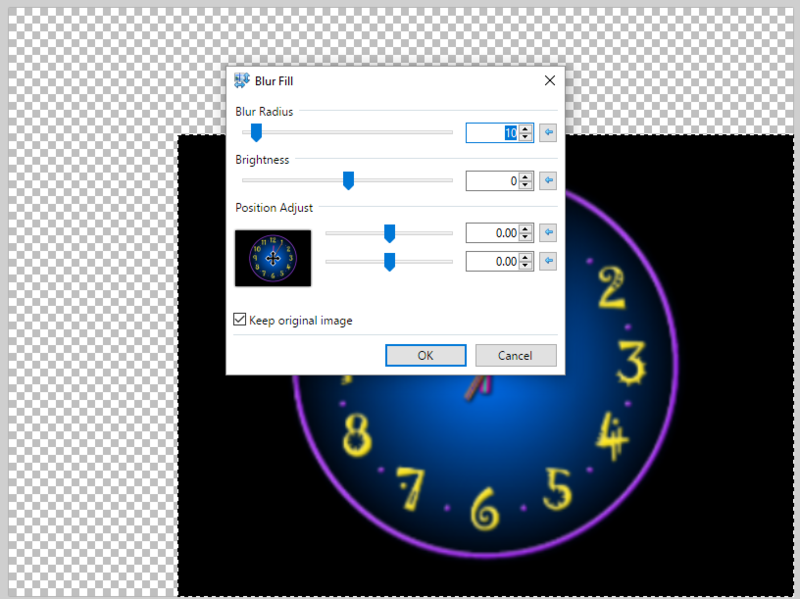 If the ratio of the canvas and the ratio of the trimmed image are exactly the same, no clipping will happen and thus neither slider will have an affect. Fixed: The effect properly disposes of it's extra surfaces now. Changed: Uses less memory now. Fixed: In some cases, the effect would crash with a Read AccessViolationException. Fixed: The bottom pixels and the right pixel were getting clipped. Changed: The panning control now uses 3 decimal places, instead of 2. New: You can now run the effect on a selection. Fixed: Effect would crash if run on an absolutely transparent canvas. An interesting effect. I will play with it in the evening. Yes, if people want them, I don't see why not. Would I have to change the plugin name? I would not allow more than one at a time though. (e.g. Pixel + Gaussian blur + ect.) That would just make the code too complex, and probably a lot slower. Hurry up! You have got till the end of the day. I like the name Blur Fill. Accurate and elegant. Why change it because you're adding options? Teo_head2001! Thank you so much. Very nice soft result with this Plugin . I added a bit of posterize as well. That kitty looks so sad in your sig that I want to adopt it . Version v1.1 posted, and it's a whole a lot faster. My largest test image went from 48 seconds to 2.5 seconds. Of course your results will vary, as it depends on the dimensions of the canvas and the amount of transparency you have around your image... not to mention your hardware. Don't like Blur? Duplicate your layer, and then run the plugin on your bottom copy without "Keep original image" and Blur set to 0. You are then free to run whatever effect you want on it. Pixelate, polar inversion, ect. Drop Shadow on the top layer. If you accidentally apply 'Blur Fill' for the absolutely transparent image, then you will get an error message. Thanks for the update, Kalama. Now the effect works well. Now that I've figured out how to run Gaussian Blur on a selection without transparency bleeding in, I've enable this effect to run on selections. Fixes an off-by-one bug where the bottom pixels and the right pixels were being clipped. Panning should also have a bit more precision; I switched from using int types to float types in a few places, and the pan control now has 3 decimal places. @toe_head2001 ! Thank you for your effort and new version. I have got a crash. 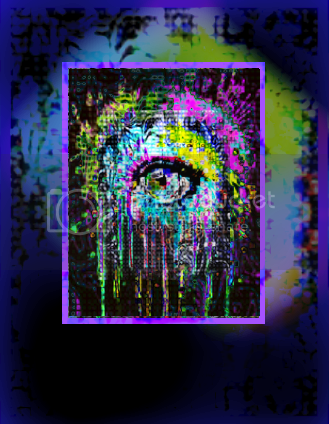 I selected the entire canvas and reduced the size and reduced my image as in the screen shot. I forgot to deselect it and paint.net crashed when I launched the effect. 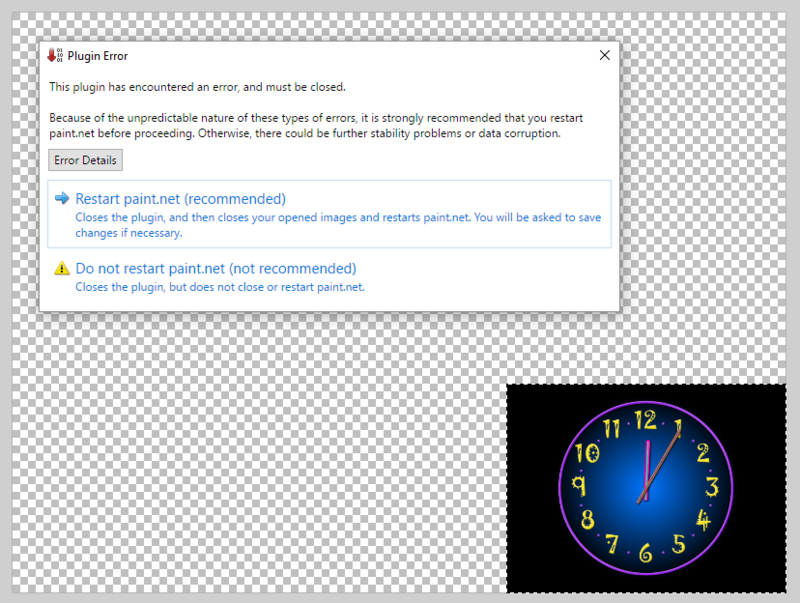 What is weird is that if the image is larger as in the second image, Paint.net does not crash. If I deselect the image, the effect launches and renders but the position adjustment does not work as in the third image. @Eli, that's a very peculiar crash, as the Selection should not have any bearing on that specific section of code. I've fixed (more of a work-around) the issue though. I sent you a test build, and if it works well for you, I'll officially release it this evening. ... but the position adjustment does not work as in the third image. The ratio of the Canvas and the ratio of the Image are the same; thus it's a perfect fit and there's nothing to adjust. It does not crash anymore.Though I tried hard. Version 1.4.1 posted to fix the crash encountered by @Eli. Thank you very much for this plugin, toe_head2001. I really like it and therefore just made a video out of it. It's in German but with English captions . I hope you like it. Yes, I do like it. You did a very good job at explaining and demonstrating the plugin. Very clear and understandable instructions for this Plugin @ingwer .